Data from America’s Health Rankings indicates that more than 22 percent of men and more than 12 percent of women in Ohio regularly engage in binge drinking. It’s not a long journey from regular binge drinking to alcohol addiction, and withdrawal is one of the first indicators of dependency. When it is discovered that a patient has become physically dependent on alcohol, some of the most common symptoms of alcohol withdrawal will include headache, stomach illness, sensitivity to light, tremors and shaking, irritability and anxiety, trouble sleeping, and more. There are numerous Ohio alcohol detox centers to help the state’s vulnerable population reverse the course of their addictions. Professional medically supervised alcohol detox gives patients the benefit of quality, safe and effective symptom management as well as expert medical care in the event of a medical emergency. Those who attempt to detox from alcohol on their own—particularly those who have been battling the disease for years—run a heightened risk of relapse and subsequent abuse and withdrawal. Detox programs are typically covered by insurance and last an average of three to seven days. 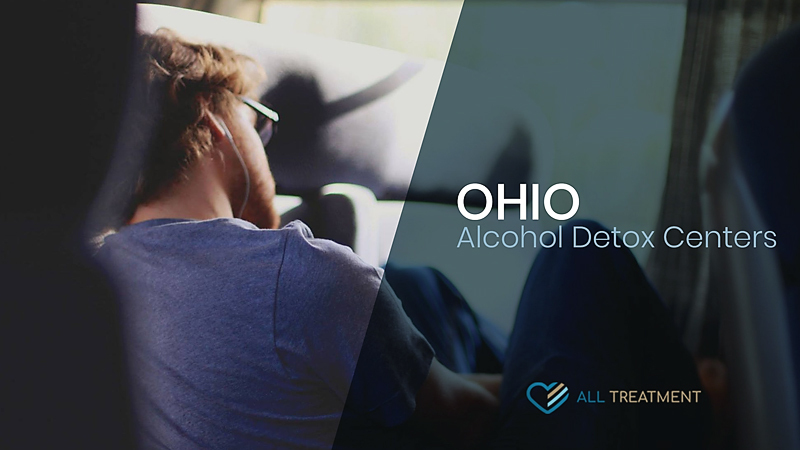 Break the cycle of alcohol addiction now and start browsing our inventory of Ohio alcohol detox centers to find the right choice for you or your loved one.